Updated May 2018. Last year, Dream Vacation magazine published an article titled “27 Best Day Trips From NYC.” The list includes all good ideas, including The Cloisters in Fort Tryon Park, the Metropolitan Museum of Art branch that highlights their medieval collection. But, wait. The Cloisters is in NYC. I live in NYC, and I live near there. I can even see the building’s tower from my bedroom. For me, a visit to the museum is not a day trip, just an after lunch stroll. Many people think of NYC as somewhere to the south, like Midtown with its tall skyscrapers and crowded avenues. Frequent lists of “best things” in New York and much of media attention center on events and places below 110th Street, the northern boundary of Central Park. 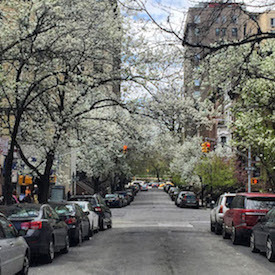 “Upstate Manhattan,” a phrase generally referring to the area of Washington Heights and Inwood in northern Manhattan, may seem to some city residents as far away as the Adirondacks. Whenever I invite anyone up to my place, I usually bundle the offer with a visit to The Cloisters, like it’s a special package deal. I should also say that the reverse is true, too. I enjoy visiting Brooklyn, but it’s an effort. I sometimes look for a rest stop halfway there, like I’m taking a road trip. When I lived downtown in the Village, I longed for day trips to The Cloisters. It just seemed so far away them, requiring some willingness and effort to sit on the uptown A train all the way to 190th Street. For day trips, I went elsewhere, memorizing the quickest train schedules from Bleecker/Lafayette to the beach. Now as an uptown resident, my go-to train station for day trips is the Marble Hill station on the Metro-North Hudson Line. The station’s open-air platform sits on the north side of the Harlem River on West 225th Street with views of the river and Inwood Hill Park across the way. It’s peaceful there. While waiting for the train I’ve been able to spot an egret's nest near the Columbia University rowing center. I go north. The Hudson Line travels up through the Hudson Highlands and ends in Poughkeepsie, hugging the east side of the Hudson River for most of the way. The river views make the journey as pleasant as the destination. From Upstate Manhattan, travel times to the Hudson River towns of Cold Spring and Beacon north of the city are just as fast as travel to many southern areas of the metropolis. Croton Point Park in Croton-on-Hudson is the site of the Clearwater Festival. Photo from June 18, 2017. 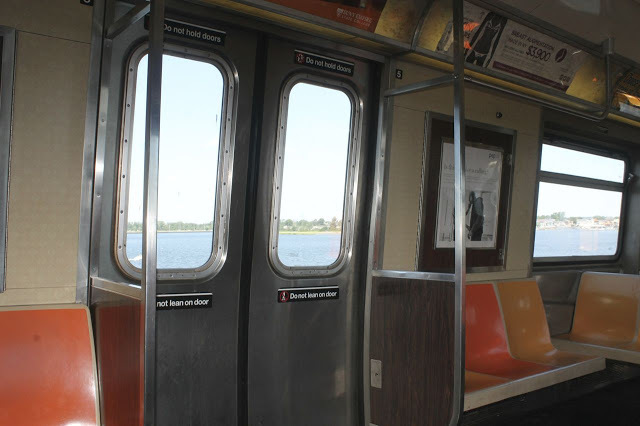 In addition to the trains, the west side of the Hudson River is accessible via bus from the GWB Bus Station at 175th Street. For example, a trip to Nyack, NY (home of the Edward Hopper House, for example) from the GWB station takes about 45 minutes. (Rockland Coaches). Also, consider a Trailways bus to Woodstock (see related post) for an overnight trip. With this handful of scenarios, you should get the overall idea. From Inwood, the travel time to Cold Spring, NY in the Hudson Highlands is about the same as a beach trip to Coney Island. A trip to Beacon, NY takes about the same amount of time as a trip from the area to Rockaway Beach. 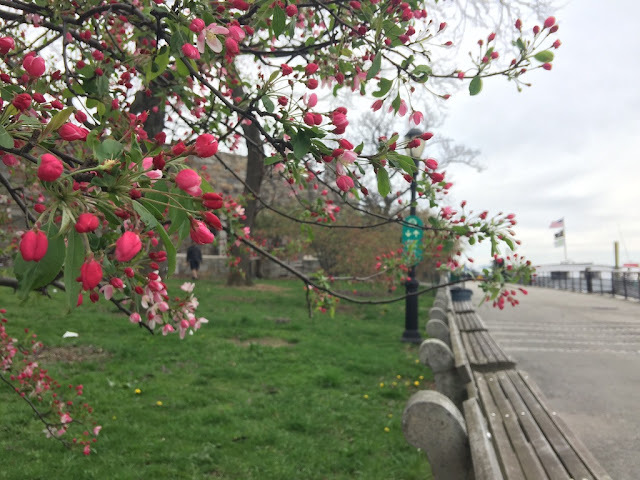 The Cloisters and Fort Tryon Park are still good ideas for a day trip. Visit in the morning, and then head north. People who live elsewhere in the vast city can brag about their own locations. The point is to explore and to discover your own favorite day trips.